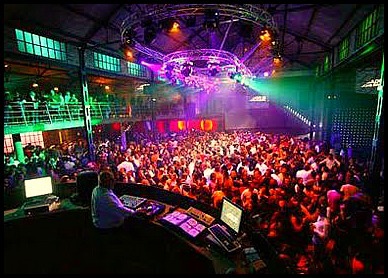 Barcelona is well known for its mesmerizing nightlife and for throwing unforgettable parties stretching through till dawn. We bet you’re itching to get your glad rags on and get involved with the action, but with the Spain’s late-night style of not even thinking about heading to a club until the early hours of the morning, you may be wondering what you’re supposed to do until 2am… But don’t worry, we’ve got the answer with our guide to the best pre-club bars in Barcelona! Get psyched up in trendy hangouts! BARcelona – the name says it all and the number of watering holes in the city is just vast. In fact, there are so many possibilities that it’s hard to decide on where to go! But to get your evening off to a full swing, you’ll be needing a chic resto-bar before heading to one of Barcelona’s clubs, providing some pre-boogie sustenance, cool vibes and chic cocktails. LeKasBah is the place to be if you want to mingle with city slickers and an international crowd. This swanky restaurant-club is part of the famous Otto Zutz group, one of the grand masters of Barcelona’s clubbing scene. The Arabic-inspired décor creates a cool, exotic ambience and after dinner the night really gets going with DJs pumping out some of the latest music. With a good combination of food, drinks and party vibes this is a great place to get the ball rolling and with the beach just a short stroll away you’re just around the corner from some of Barcelona’s best clubs! Nearest clubs: You’ll find the amazing clubs of Port Olímpic nearby with the likes of CDLD, Opium Mar, Danzatoria, and Shôko. Crossing into the Raval neighborhood you’ll find fashionable Marmalade. This restaurant-come-cocktail-bar has an awesome, elegant-retro interior and claims to have styled itself on the idea of ‘1950s Havana meets New York’. Its high ceilings, dimmed lighting and kitsch furniture make this locale unique and a great place for some pre-clubbing Barcelona style! The drinks menu at Marmalade is excitingly lengthy with a hundred and one temptations fighting for our attention, and it also has a fantastic food menu and all day opening hours, so it’s a good place to come early, relax and get yourself into the zone. 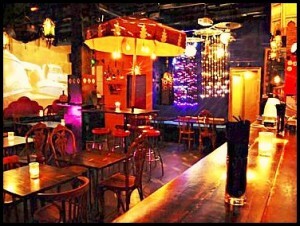 Nearest clubs: Apollo on Carrer Nou de La Rambla, although Plaça Reial is also near. 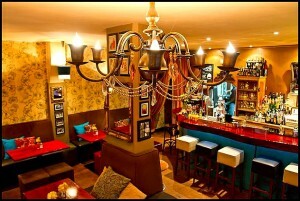 Known as one of the Gothic Quarter’s foremost cocktails haunts, Milk is a great choice to get your night off to a start. Its classy, vintage décor makes for a relaxed, upbeat atmosphere and, naturally, its wide range of party-starting tipples helps, too! Milk’s cool, chill-out tunes make this spot bang on trend and its all day opening hours mean you can come here early, take your time and leisurely get into the party spirit. 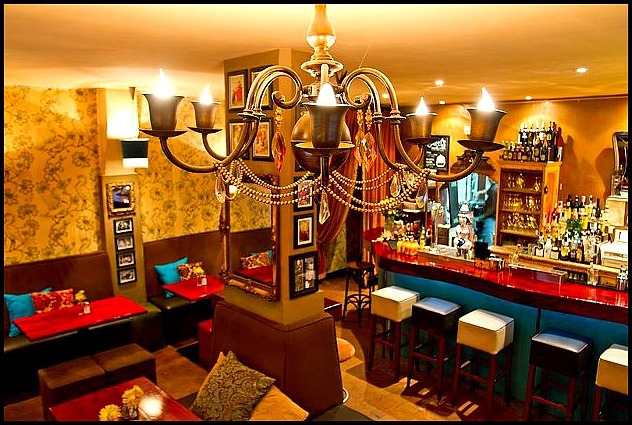 Nearest clubs: Head to nearby Plaça Reial where you’ll find Jamboree, Sidecar, and Karma. 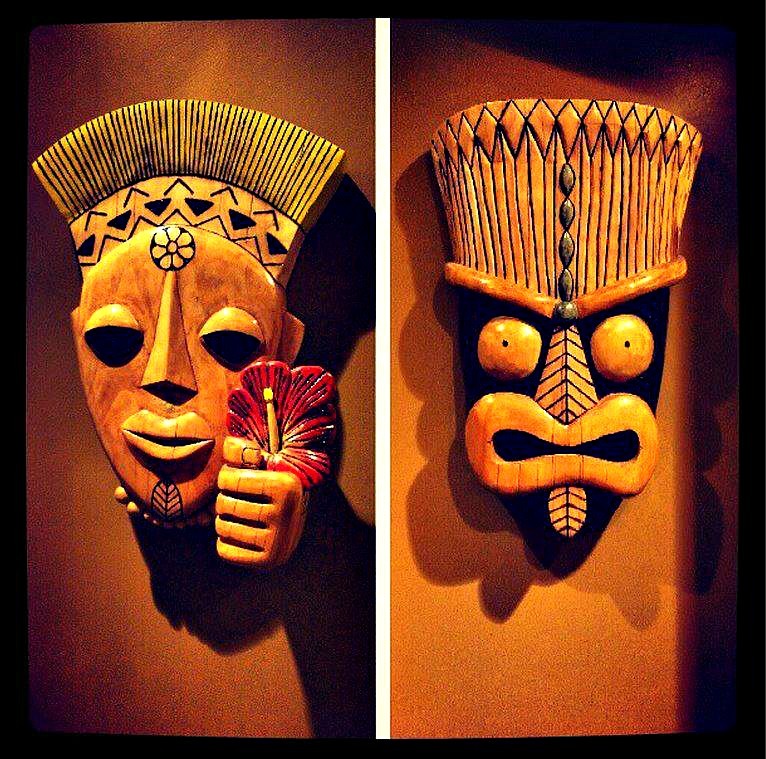 How about a quick trip to Polynesia? Up for it? Then Kahala bar is for you! Filled with weird and wonderful tiki inspired paraphernalia – flowers, vines, bamboo, masks and even tropical fish – this is the place to lose yourself in the spirit of revelry. As would be expected of a Polynesian bar, the fruity cocktails on offer here are fantastic and come served in a variety of crazy goblets guaranteeing an amusing start to your evening! Nearest clubs: South of Via Augusta/West of Diagonal you’ll find Sutton Club on Carrer de Tuset 13; Otto Zutz on Carrer Lincoln 195; and Soho on Carrer Aribau 195. Want to take your night to the next level? Fancy going all out? 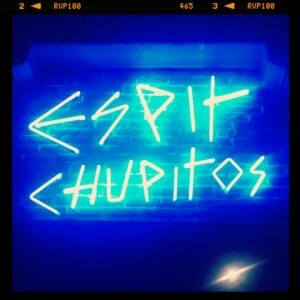 Then Espit Chupitos is what you need! 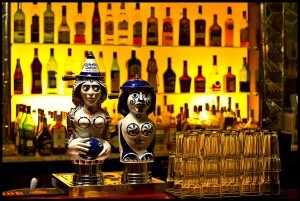 This specialty shot bar has infinite concoctions at the ready and is certainly not for the faint hearted. With prices generally around the 2€ mark this is a great stop off if you’re after something really memorable and is especially good for groups of friends – careful not to get too carried away though! Espit has two venues in the city, one in the Gothic Quarter and one in the Eixample, both of which are convenient for Barcelona’s different clubbing areas and therefore unavoidably tempting for a cheeky pre-club boost. Passeig de Colom 8 and Carrer d’Aribau 77. Nearest clubs: Plaça Reial, Port Olímpic and South of Via Augusta/West of Diagonal. So then, seems like it’s time to doll yourself up on and get ready for one incredible night of partying – Barcelona style! This entry was posted in Bars & Nightlife, Home, Nightlife and tagged barcelona bars, barcelona clubs, barcelona food and drink, barcelona music, barcelona nightlife, barcelona restaurants, barcelona tourist guide, best bars in barcelona, clubbing in barcelona, cocktails barcelona, going out in barcelona, visiting barcelona. Bookmark the permalink.